Here's a NICE gift ideas you can separate out! 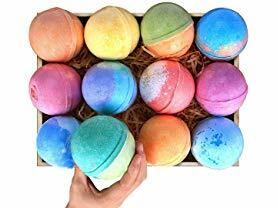 Check out these RoseVale 12pk Bath Bomb Gift Set ONLY $14.99 (Retail $39.99). •[Best Gift Ideas for all Occasions] There is no better gift than the gift of relaxation and better health.